Winding through the breathtaking landscape of the mountainous Filefjell, The King’s Road offers visitors a unique hiking and cultural experience. The Road stretches across 100km of Norwegian mountains. Since it was first built in the 1790s, the Road served as an important link between Eastern and Western Norway for travel by horse and cart. In later years, sections of the road were relocated while other sections became overgrown and were out of use. 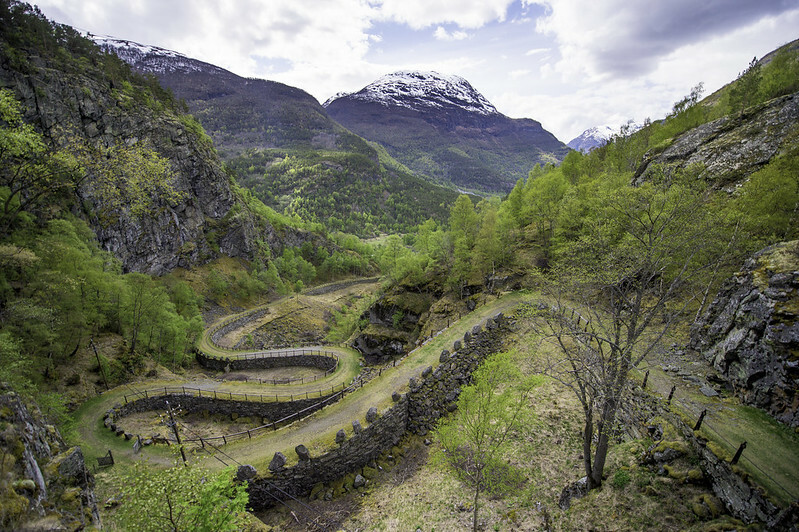 In 2009, the Norwegian Public Road Administration and several partners formally started a project to re-establish and revitalise this important road for use by hikers. “This integrated project of cultural and landscape heritage is of the highest quality and was undertaken with a real focus on best practice in building”, said the jury. Research was at the foundation of the project and is evident in the most minor of details. The nails used in the reconstruction, for example, were replicas of the originals used in the Road’s construction. Sherpas from Nepal assisted in the renovation process and were invited to do so thanks to their knowledge of dry-stone walling, a technique which was largely lost in Norway. To ensure the transfer of these skills to local craftspeople, apprentices learned from the Sherpas by working alongside them. Two German travelling craftsmen also assisted with the traditional carpentry employed on the bridges throughout the conservation works. It therefore opened up dialogue and an exchange of skills which spanned continents. “In inviting skilled workers from Nepal and Germany to contribute to the project, links have been established between these experts and Norway, and, in doing so, traditional crafts and techniques have been recovered and shared in a natural way”, highlighted the jury. The project is an outstanding example of how to exchange knowledge across regions and how to bring together different stakeholders from wider networks. “Importantly, this is the recovery of an historic route and its forgotten track. The road is not an invention, but the revitalisation of a heritage site which is well connected to the villages and settlements along the Road>, which in turn enriches the local economy and motivates the local community to appreciate and care for their heritage”,emphasised the jury.